Meg, a Girl Scout Ambassador from Andover, sought to address the lack of girls-only programming in her town. 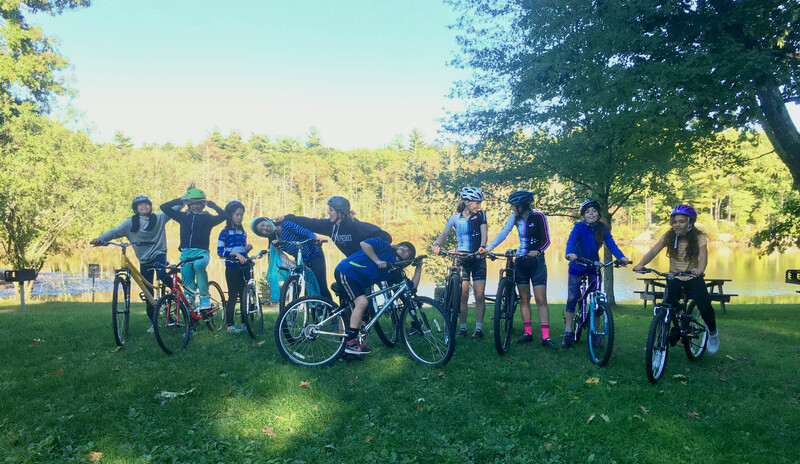 She teamed up with Andover Youth Services (AYS) to create Girls Venture Out, a set of monthly clinics offering girls an active adventure to explore alternative sports. The clinics include self-defense, rock climbing, and mountain biking. Inspired by her own passion for cycling, Meg ran the mountain biking clinic herself. She organized a bike drive to collect bikes that girls could use for the clinic and for future AYS programming. Meg also created a Girls-Only Block Party at the youth center on the first Wednesday of each month. During these times, girls could learn from and support each other while playing sports, creating art, dancing and more without involvement by boys their age or male staff. Based on the success of these initiatives, AYS will continue to run both Girls Venture Out and Girls-Only Block Party. We are so proud of Meg for her inspiring initiative to help girls in her community!